Messi, Busquets, Piqué and Alba return! 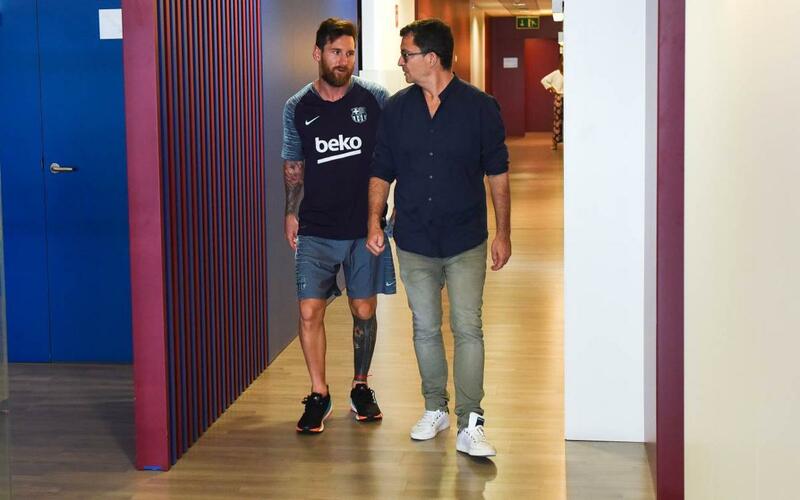 FC Barcelona stars Leo Messi, Sergio Busquets, Gerard Piqué and Jordi Alba became the latest players to make their return from their summer break on Tuesday morning, attending the Ciutat Esportiva Joan Gamper. The quartet, who were given holidays after their World Cup exploits for Argentina and Spain, respectively, undertook the customary medical and fitness tests to assess their condition ahead of the 2018/19 LaLiga season. They will train this evening at 6:30pm CEST, in their first session back. A steady influx of returns is expected over the coming days, in preparation for the first official game of the season: The Spanish Super Cup against Sevilla on 12 August. Whilst the foursome train in Barcelona, the rest of the available players -including Marc-André Ter Stegen, who came back from his own summer break this week- remain on tour in the USA. The final two games of the trip Stateside take place today in Dallas against AS Roma, and on Saturday against AC Milan in Santa Clara.